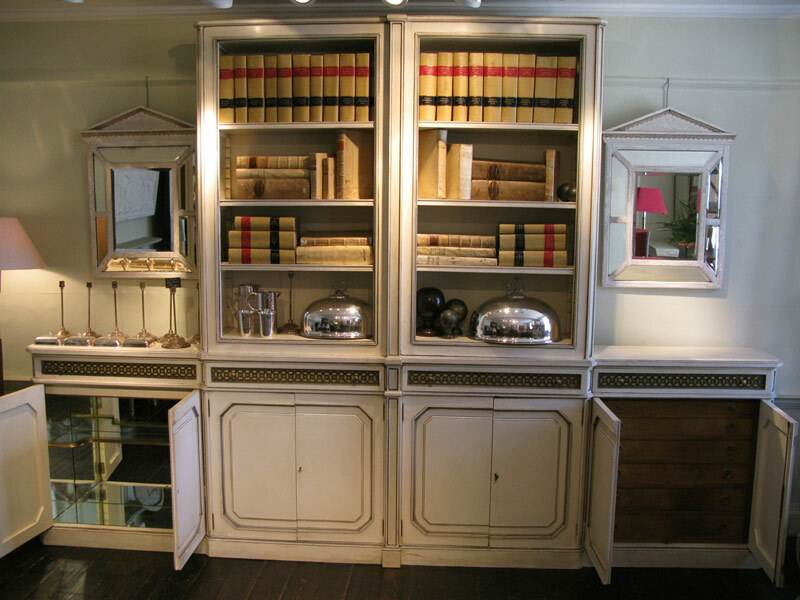 An outstanding, circa 1930s French painted Bookcase/ Display cabinet of great proportions, in the Louis XVI taste, retaining the original paint, and offering plenty of storage. Superb quality and very unusual configuration. 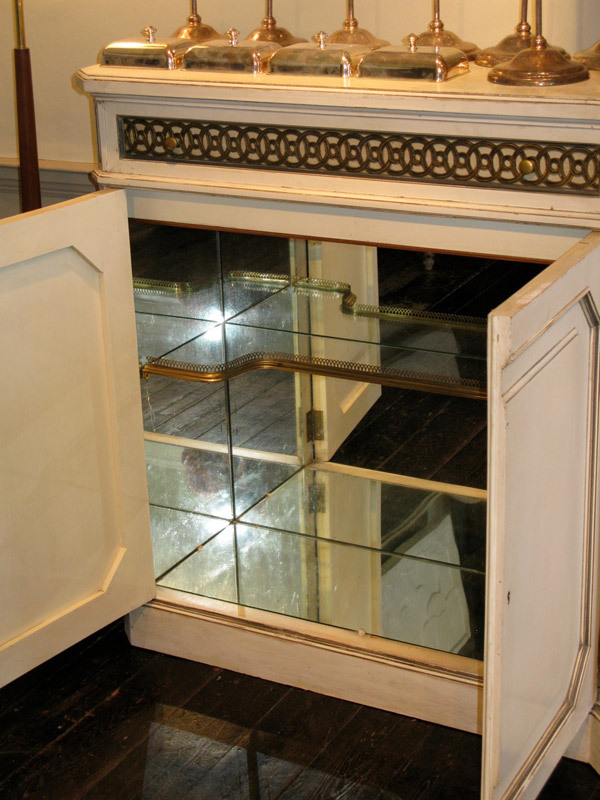 The breakfront lower part, with a set of four double doors. The mid lower section(Breakfront) opening to reveal a fixed shelve. 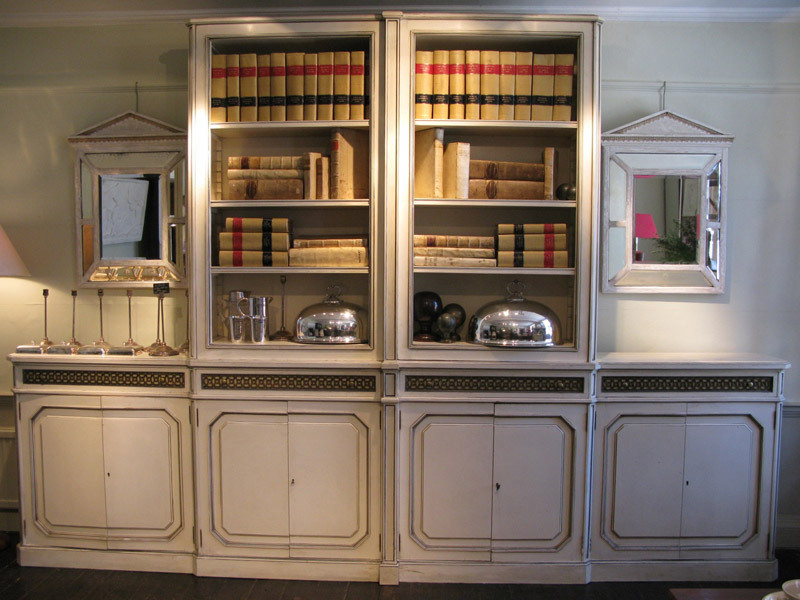 The far left double doors opening to reveal a mirrored interior with a shelve for drinks. 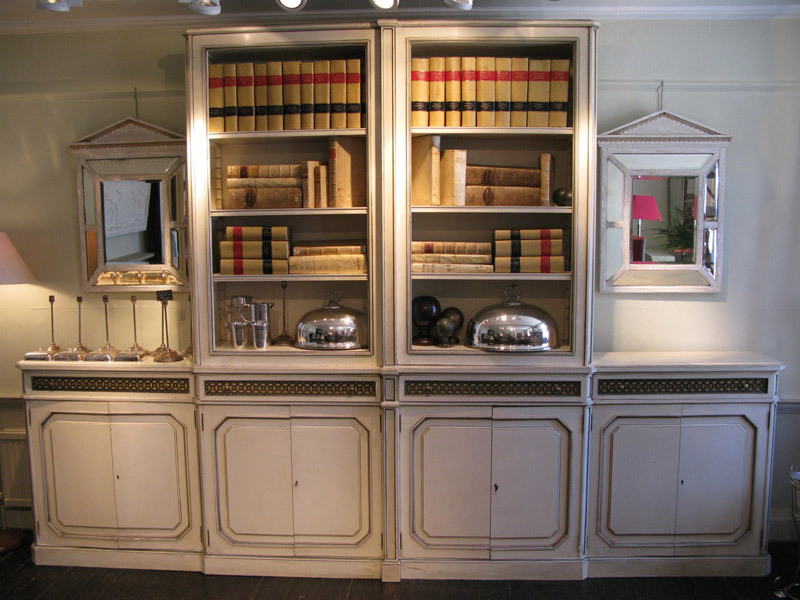 The far right double doors, opening to reveal a set of five working drawers and a faux top drawer. 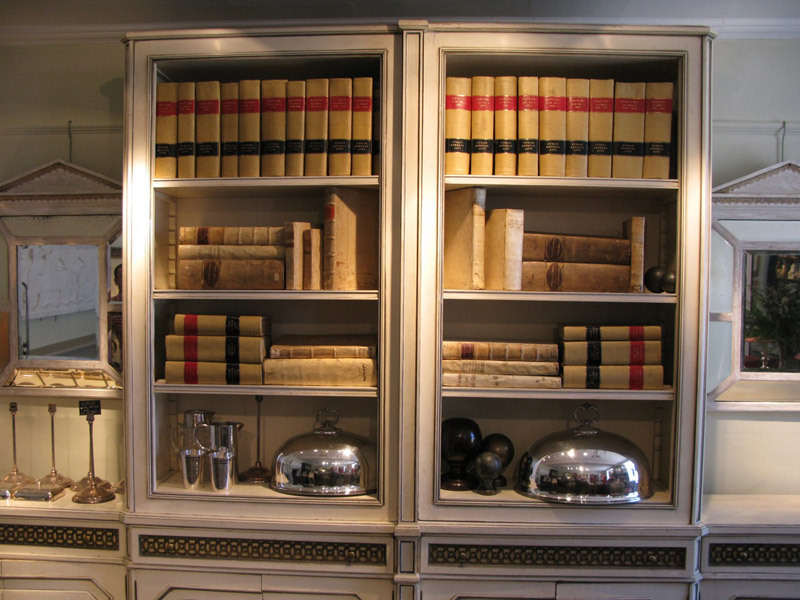 Above the lower part of the bookcase there is a set of four deep drawers with brass motif. 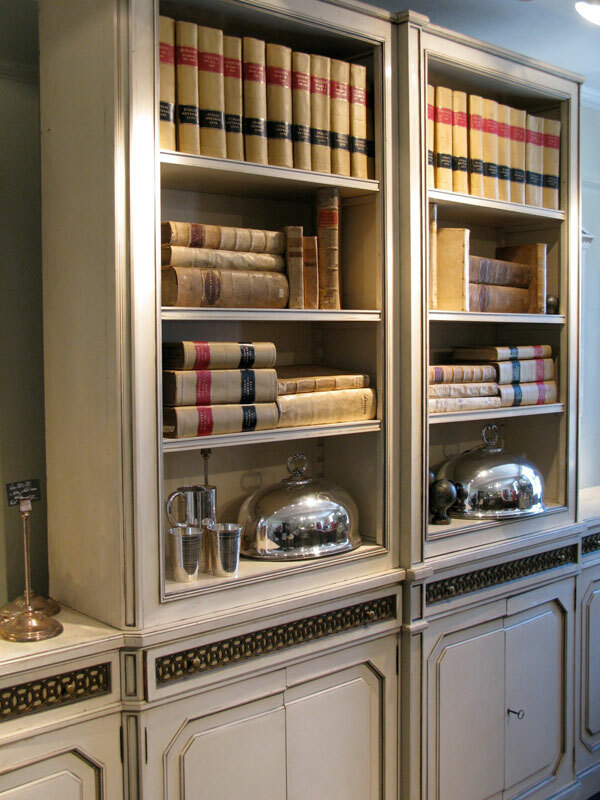 The upper part with adjustable shelves. 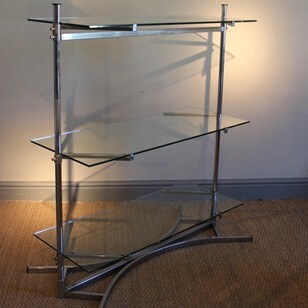 Please note that this bookcase dismantles to five pieces, and it could be split in the middle if needed for a recess or on each side of a fireplace. 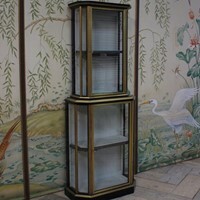 Excellent quality and very unusual design, this practical bookcase/ display cabinet , offers plenty of storage, and will make a statement in any room.